We have been shortlisted to receive an award of £1,000 via the Aviva Community Fund. Our project this year is centred around supporting our army of volunteers. We are committed to provide the necessary training to our volunteers which allow them to perform their role(s) at the club. This ensures we comply with our FA Chartered Standard status and provides a safe, fun and positive playing environment. Please consider voting for us. If you have previously registered please follow the link below and log in with your email and password (if you’ve forgotten your password you can reset). If you haven’t registered before, you can registered by following the link. Voting opened at 9am this morning and closes on 20th November 2018.  2019 - Update Apologies for the lack of updates / activity on our website recently. 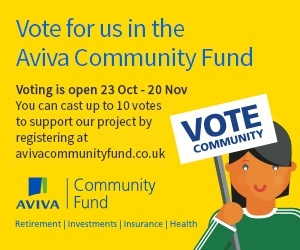 Aviva Community Fund  Please consider voting for us!